NOW: Four-Piece from Brisbane, Forever the Optimist are delivering their own transmission. 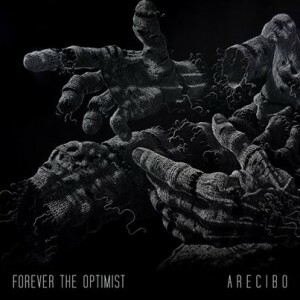 Their debut LP, which takes it’s name ARECIBO from the transmission of the same name, is released into the aether Friday April 18 2014 through MGM Distribution. A shot across the galaxy. The album ‘Arecibo’ was conceived almost 2 years ago and the build has been slow, yet purposeful. A build towards a time when the world was ready for them. Now is that time – the 11 track album features previous singles ‘Enter, Circus’, ‘Warning Horns’ and ‘Revolutions’. This time and spreading inital messages about the band via extensive touring has resulted in an army of fans awaiting the LP. 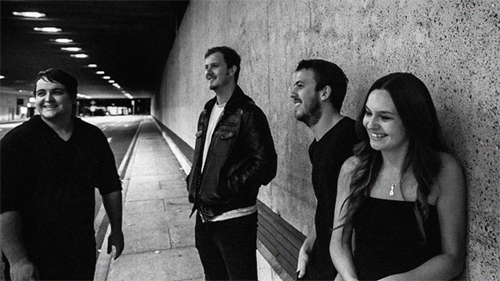 The entire process was recorded at Tall Poppy Studios and produced by Gareth David alongside the band’s members. A meticulous process ensued, poring over every aural crevice in the record, to create what is nothing short of a world-class Rock record. The album coming on Friday April 18 will then be followed up in Late April with a filmclip for new single track ‘End of Antics’ – a monstrously catchy, but nonetheless hard-out and bass-heavy beyond comprehension track, as well as tour dates throughout June 2014. End of Antics kicks off with a call of “I am an Animal..” and quickly takes the audience on a thumping bass and delay-driven guitar journey. Forever the Optimist have toured the East Coast extensively over the past 2 years and gathered their crowd from their incredible live show and supporting artists like Sydonia, Helm and Caligula’s Horse. Forever the Optimist will tour ‘Arecibo’ throughout June and take in Brisbane and Central Queensland, Sydney, ACT, Melbourne and Adelaide on the journey. Dates, Venues and Supports to be announced in late April. ‘Arecibo’ will be available in JB Hi-Fi and good record stores, as well as at shows and online everywhere from Friday April 18, 2014.